"Then there is all the more need to regularize your position if possible," said Dolly. "Yes, if possible," Anna said, in what had suddenly become quite a different--a quiet and sad--voice. "Is a divorce not possible? I was told your husband had agreed..."
"Dolly, I don't want to speak about it!" ... "Dolly!" she said suddenly, changing her tone, "you say I look at things too dismally! You cannot understand. It is too dreadful. I try not to look at them at all!" "But I think you ought to. You must do all that is possible." I paused last week on the idea that discursive silences might help support our ability to speak with others. What is left unsaid, of course, greatly constrains the realm of possibilities of what to say -- and agreement about what is unmentionable confirms participation in culture, as well as concord, as above ("Well then, we won't [speak about it]"). It is interesting to consider, however, thresholds in people's willingness to consign something to the realm of the unspeakable. Where Anna asserts that her condition is too dreadful to consider explicitly, Dolly disagrees, encouraging Anna toward exploration, or at least catharsis. Even if Anna's status is unspeakable in society (and if Anna is herself consequently invisible in just the tacit way that we might agree never to speak of something we all know), Dolly insists--pushing through her own discomfort--that the unspeakable ought to be discussed. I tend to fall on Dolly's side in these matters, but I have become determined to better understand the functions of unspeakability, since unmentionables seem undeniably common. Without any attempt to be comprehensive here, and using a field of unmentionables with which I am most familiar as inspiration here (the "good food" movement), I consider a few of the functions of the unmentionable, with some eye toward what kinds of alternative discursive scaffolds might help substitute for such functions, in the event that a given conversational lacuna might have occasion to be explored. Beside the obvious function of deferring things uncomfortable to think through (including the denial of complex motives), relegating something to the realm of the unspeakable plays the other obvious role of reducing social friction on things likely to create discord. Politics, religion, and football are all likely to rouse vigorous dissent--further, such topics raise expectations of polarized dissent: loud voices express strong opinions without much hope of exploration. Teams, parties, or faiths are often assumed to be inherited via geographic accident, and engagement in verbal jousting is likely to be propagandistic or performative rather than persuasive or interesting. Food topics fall into such polemics with alarming ease, as anyone who has heard specific diet proponents launch can attest. The question of what to eat raises a second function of unspeakability: it helps to ease uncertainty. One stance often taken on the brink of the uncertain involves finding a level of generality at which disjointed perspectives might agree--and leaving conversation there. Christianity provides such a place to put conversation to bed for Catholic and Protestant; "religions of the book" suggest an even more distant resting place. "Let's not go there" is often a warning for domains for which we know that not enough (or none) of the conversationalists have enough knowledge to safely guide us through the perilous waters of assertion. Vegans who are certain that Colin Campbell's research supports plant based eating (and that the China study confirms that animal protein is toxic) square off against parents using dairy products as part of dietary interventions to attempt to improve the intestinal and neurological function of autistic children assertions and evidence fly back and forth, but often cut loose from the complex web of expertise and warrant that enable any sort of mutual comprehension, careful evaluation, or even sympathy. I often use food fights on the Web as examples in my teaching, as the arguments for and against something like canola oil provide useful cautionary tales for believing in science you can't understand. The knowledge of the mayhem likely to ensue encourages people to avoid such fraught topics, effectively relegating them to one of the more interesting realms of unspeakable status: something difficult to talk about but that many people would genuinely like to know more about, if they could do so without considerable pain. Watch for pained yet hopeful facial expressions the next time dietary advice is broached. It seems that these two challenges might be met with more premeditation and facilitation than we might usually be inclined to allot casual conversation. Importing expertise would not seem to be adequate, however, without some commitment to rapprochement, particularly if salient expertises seem incommensurate. A third category of unmentionability afflicts the attempts of well-versed experts in their attempts to engage those with competing positions. Even if the requirements of cross-disciplinary, cross-perspective expertise have been well met--the explicit demarcation of uncertainties and assumptions, as well as description of methods, warrants, and interpretive frames--a significant lacuna undermines many attempts to address thorny topics. This blind spot is somewhat hard to pin down, but it is most obviously manifested in the attribution of strawman arguments to opponents. An example I often encounter involves the promotion of local food: critics of local food proponents often attribute to moderate locavores a geographical fundamentalism. While a local foods campaign might propose a goal of increasing (as in a Minnesota project with which I am engaged at the moment) the amount of locally grown food eaten in a region from 1% to 2%, with some projections of impacts for a range of local provisioning extending up to 15% of food procured within the region, critics usually assert that such a project really aims at 100% local food, and attack the weak spots of THAT scenario (the lack of chocolate, etc.). Such attacks often provoke heated counter-attacks, many of which may trip up on other domains of unspeakability--the uncertainties, complex motives, and incommensurate social goals of actors, for example. Addressing these complex systems of parameters around what can easily be said would seem to require considerable willingness to experiment with dialogue on all parties involved. As the persistence of polarized political discourse demonstrates, despite our cultural affection for the debate form, attack and counterattack do not tend to open up more discursive territory. In fact, as much as ignoring something in the hopes it will go away, or at least become unmentionable, ploughing into unspeakable domains without some thought to the functions one might need to replace or allay is likely to increase the domain of what cannot be said. 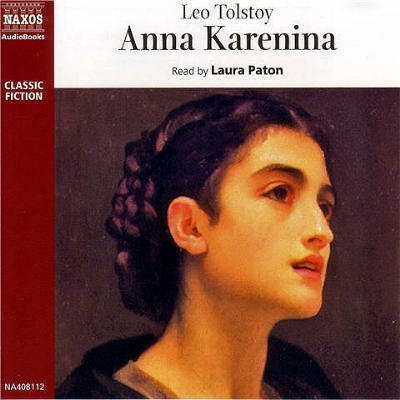 Tolstoy, Leo (1878 /1918) Anna Karenina, trans. Louise and Aylmer Maude. Oxford: Oxford University Press.